Your You're correct: Freehand text in Cloud V7 now features autocorrection. Now you can click and drag to draw a text bounding box, complete automatically wrapping text. When you create a text area by clicking to type, now the text will wrap at a predefined width. When hovering over a text area, you can now use the side handles to resize the area and change the wrapping of the text. It's worth noting that you can still drag the corner handles of a text area to change change the font size. Shape Menu in Freehand: Now you can easily draw rectangles, circles, and straight lines. Pro tip: To draw perfect squares, circles, and lines at 30° increments, hold the Shift key while drawing. Choose your line opacity: To change the level of transparency of the lines you draw, you can now use the opacity feature. (See the description of the pencil tool in the Freehand Tools table for more detail). You can now insert line breaks simply by pressing Enter / Return on your keyboard. The type something prompt is now a placeholder rather than actual text that needs to be overwritten. Freehand sign in through Craft Manager: The sign-in flow for the Craft Freehand plugin with Sketch is now part of Craft Manager. This should streamline authentication and make it more intuitive. Share link unfurling: Share links for prototypes, boards, and Freehands are now unfurled correctly in Facebook and Twitter. Freehand sign out issue: InVision Private Cloud users are no longer signed out of their accounts when they click InVision icon in Freehand. Freehand save location: InVision Private Cloud users are now automatically prompted to save freehands inside their respective Private Cloud accounts instead of their personal accounts. Improved resizing for straight lines in Freehand: The behavior of the resizing handles used to resize relatively straight lines you've drawn has improved, making it easier to change the length of your line (or a thin shape) without changing the proportions of the line. Pro tip: Hold Shift while drawing a new line for a perfect straight angle! Create only one document at a time in Freehand: If you accidentally click “Create” several times when starting a new Freehand, you can now be sure that only one document will be created. “Type something” faster with text in Freehand: When you create a new text layer, the default “type something” text will now be selected. Just start typing to overwrite it. Selection resize functionality: Resizing any selection in a freehand document that contains empty text layers is now working without any scaling problems. Multi-line text: Issue where occasional empty text lines were created after pressing Shift+Enter is no longer happening. Switch to Pencil tool: Double click with the pointer tool anywhere on canvas now quickly switches to the pencil tool. Shadow rendering: New faster and smoother rendering for drop shadows on artboards imported from Sketch/Photoshop. “Who draw this” functionality improved: Name of the author for lines/text/images now displays different text based on the item type: drawn by, added by, written by. Close video modal: The issue of the escape button not responding next to the video player is now fixed and fully functional. Zoom Numeric keypad: Cmd + shortcut to zoom now works on Numeric keypad. Freehand from Prototype: Users can now create new Freehand documents from any of their prototypes by simply pressing the Freehand icon next to Liveshare in Project’s view. Freehand Plugin (Sketch/PS): Completely new Freehand plugin that allows users to sign in with their InVision accounts and create new freehand or update already existing ones. Archive functionality: When freehand is archived, the URL will not be accessible anymore (same behavior as all other InVision project types). Keyboard shortcut help: Improved shortcuts helper now with all Freehand shortcuts categoried by their purpose. Shape fill functionality: Users are able to select a shape. By pressing “cmd+e” they will add a fill color to that selected shape. Mobile and tablet onboarding: Improved onboarding for mobile and tablet in landscape mode. Who’s drawn this: New feature to show who has drawn a particular in the bottom left of the screen, rather than depending on just your color. Duplicate for mobile/tablet: New feature that allows users to simply duplicate any selected content with a button that shows under the selection. Emoji resize issue: Fixed issue where you wouldn’t be able to resize emojis consistently without them disappearing. Scaling issues: Fixed issue where invisible artifacts would sometimes appear preventing you from scaling properly. 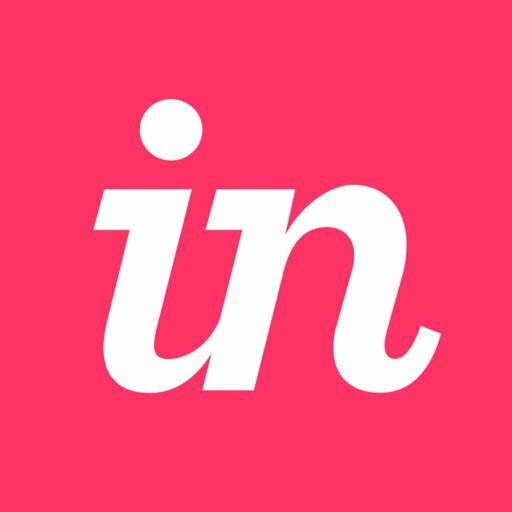 Mobile redirect issues: Fixed Issue where you can’t access a Freehand directly from a mobile device without being promoted to download or use the Invision app. Create New Freehand: New feature that allows users to create new Freehands directly from already opened documents. Open the overflow menu (•••) menu on top right to see an option to create new document. Mobile/Tablet onboarding: Specific onboarding for mobile and tablet devices showcasing features and tips how to work and navigate through Freehand documents. Slack integration: Fixed issues with thumbnails not generating properly. Sketch Freehand update artboard resizing: Fixed issue where updating artboards from Sketch doesn't respect resized artboards in Freehand. Mobile smart shapes detection: Users are able to use smart shapes detection by holding pencil for additional 1-2s at the end of drawing to detect rectangle/circle or line. Sideguide Scroll: Fixed issue where scrolling down in the side guide and then clicking a tip would not scroll to the top. No more dimming images in present mode: We removed dimming on images in present mode so it's easier to see what you're presenting. Upload or drag and drop multiple images: You can upload or drag and drop multiple images at once! New keyboard shortcut: You can now use the “A” keyboard shortcut as an alternate for the selection tool. Ctrl-A/CMD-A selects all objects. Rename your Freehands: You can now rename your Freehands by clicking the Freehand name and typing to edit. InVision logo takes you back to your Projects Dashboard: Previously, the InVision logo wouldn't do anything. Now, the home action works for all environments. Freehand was released! It allows users to collaborate in real-time with designs in an infinite whiteboard experience. See more here.